introduces Tropicana, the world’s number one packaged juice brand* to Bangladesh with the launch of its Tropicana Frutz range. Made from the choicest of fruits, Tropicana is known for offering high quality, refreshing juices and fruit beverages. The new Tropicana Frutz range of juice drinks brings consumers in Bangladesh a delightful taste experience with the tasty goodness of – fruits. 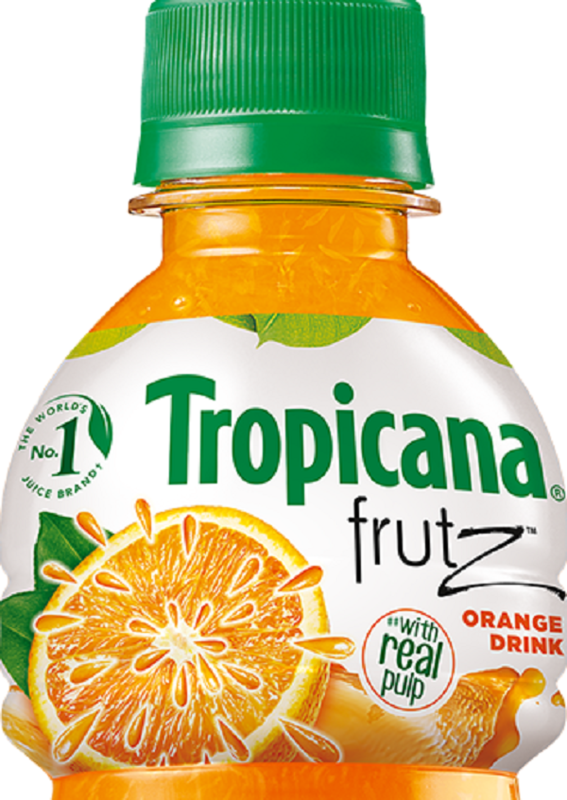 Tropicana Frutz will be made and distributed nationwide by Transcom Beverages Ltd., PepsiCo’s exclusive bottling partner in Bangladesh. Tropicana specializes in fruit-based beverages and is known for sourcing the choicest of fruits to offer the most refreshing taste. Nurtured under the Tropicana brand, Tropicana Frutz is the perfect on-the-go beverage, with an exciting range comprising three fresh flavors – Mango, Orange and Apple. Tropicana Frutz Mango offers an indulgent mango experience made from Ashina mangoes grown by farmers in Bangladesh. Tropicana Frutz Apple gives the taste buds the perfect burst of apple, while Tropicana Frutz Orange with orange pulp, offers a unique sensory experience in every sip. Tropicana Frutz Mango is priced at Tk. 25 for 250 ml and Tk. 35 for 350 ml; while Tropicana Frutz Orange and Apple are both available at Tk. 40 for 350 ml. Transcom Beverages Ltd. is the sole franchisee of globally renowned PepsiCo in Bangladesh. The company exclusively markets Pepsi, 7Up, Mountain Dew, Pepsi Black, Pepsi Diet, 7Up Lite, Mirinda and Aquafina in Bangladesh.